After months of development, Ripple, a US-based technology startup (as you are likely aware of), has finally released one of its most promising products yet, which is xRapid. For those who aren’t in the loop, xRapid is a service and product that makes cross-border payments more efficient in terms of both cost and speed, by reportedly “sourcing liquidity” from XRP-supported exchanges across the globe. The appeal of this service is, as aforementioned, its low cost and near-instant transaction speeds, which is a godsend when compared to the slow, expensive wire transfers and remittances of yesteryear. For example, it has been widely reported in the cryptosphere that the Bank of America, one of the largest financial institutions in the world, charges $30 to send domestic wire transfers and $35 for international ones. In comparison to even Bitcoin (BTC), which doesn’t have the cheapest transactions (by design), BoA’s fees are over 300x what the average BTC transactor may incur. Now, as revealed by a CNBC article on the matter, Ripple has revealed that it intends to launch the XRP-friendly xRapid today, on October 1, 2018, initially to three firms, which are Mercury FX, Cuallix and Catalyst Corporate Federal Credit Union. Reportedly, Brad Garlinghouse, the CEO of the fintech startup, made this announcement on-stage at Ripple’s Swell event, which has been covered by Ethereum World News previously. 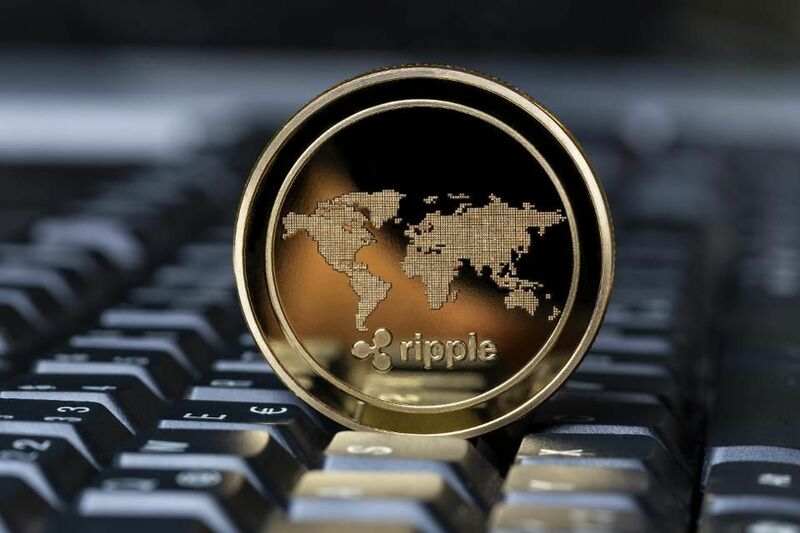 According to CNBC, this is the first time that XRP, the crypto asset, will be used in a real-world commercial application by a financial services provider, which is a big milestone when it comes to the developmental roadmap of the Ripple project. For now, only the aforementioned three firms will be utilizing xRapid, but Ripple has reportedly tested its product with money transfer giants Western Union and MoneyGram at an earlier date, but it remains to be seen whether these two firms will hop onto the fintech and crypto asset bandwagon. It has also been through the rumor mill that Wall Street banks are looking into Ripple, but no clear evidence or statements have been made at that topic yet, as the startup has explained that mainstream banks are unlikely to adopt its technologies from the get-go. The other partners held a similar sentiment, with Alistair Constance, the CEO of MercuryFX, telling Fortune reporters that he was quickly convinced to pull the trigger to join xRapid after seeing the drastic shave in fees and time for international transactions. The exact example he remembered is when he sent $1,000 through the “status quo method,” the SWIFT international payments network, and incurred somewhere from $40 to $75 in fees on a transaction that took multiple days. Seeing that xRapid offers payments, which can be completed in the time it takes to brew coffee and at a negligible fee, it is obvious why Constance chose to go with the high-tech option. Interestingly enough, XRP, the de-facto asset of the Ripple ecosystem, actually posted a loss in the past 24 hours, despite gaining upwards of 5% following CNBC’s article on the release of xRapid. At the time of writing, a single XRP is worth $0.567 a piece and is down 4.3% in the past day, according to CoinMarketCap that is. Make no mistake, despite the lack of notable positive price action today, Ripple’s successful launch of the xRapid program shows that the fintech startup still intends to revolutionize how the financial system works, even if all the odds are against Ripple itself. We’ve had a lot of adoption, our sales team is out there now closing over two deals per week over our suite of products, and so it’s just been a better and really a momentous year for Ripple.